Download the free SD card formatter from here and install it (it’s safe and is even recommended by the Raspberry Pi Foundation). 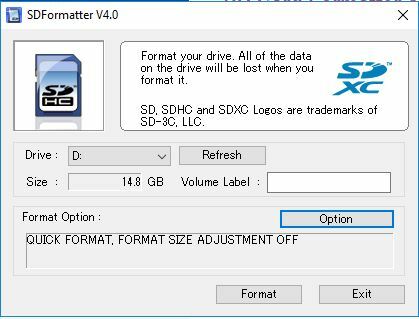 Why use an SD Card Formatter instead of the standard Windows format tool? We’ll I’ll be honest I’m not sure by the SD Association website explains: It is strongly recommended to use the SD Card Formatter instead of formatting utilities provided with operating systems that format various types of storage media. Using generic formatting utilities may result in less than optimal performance for your memory cards. I recommend 7Zip, its the best free zipping utility I’ve found out there and has great integration with Windows, definitely worth keeping after this project! Once installed, right click on the file to extract it to your computer. Ethcher is a simple utility for deploying an ISO image to an SD card or other media, there are lots out there but this is super simple. Once downloaded, install it – you can probably uninstall this once you’re done as it has limited usefulness outside of formatting SD cards. Once your Rasbian file has finished downloading, you need to unzip it – with 7Zip installed this is as easy as right clicking the downloaded file and selecting Extract here. After a couple of moments, you should see a black screen with lots of white text scrolling up (this is what Linux looks like booting up). Save the file by pressing Ctrl+X and press Y when asked if you want to proceed, then enter to confirm. When prompted as to whether or not you would like SSH enabled, obviously click Yes. The Raspberry Pi will then begin updating its firmware, this may take a little while so be patient and do not restart or unplug the Raspberry Pi! 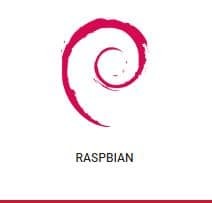 The Raspberry Pi will then begin updating its operating system, this may take a little while so be patient and do not restart or unplug the Raspberry Pi! Remember that you cannot use the same IP address twice so you should ideally use an IP address outside of the ‘DHCP’ scope of your router or network server, if you really don’t know how to do this, set it as the highest unused IP address until you can find out how! Important: Do not use the wifi network you are controlling as the primary connection for the Ubiquiti UniFi Controller software for obvious reasons! 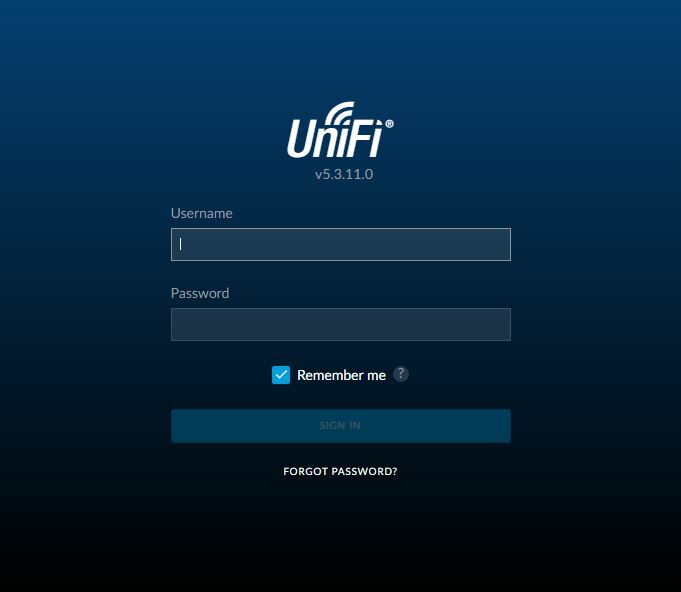 Step 12: Launch the Ubiquiti UniFi Controller! You may see a browser warning about privacy, you can safely ignore this as its simply because the SSL certificate used by the controller isn’t verified by anyone.